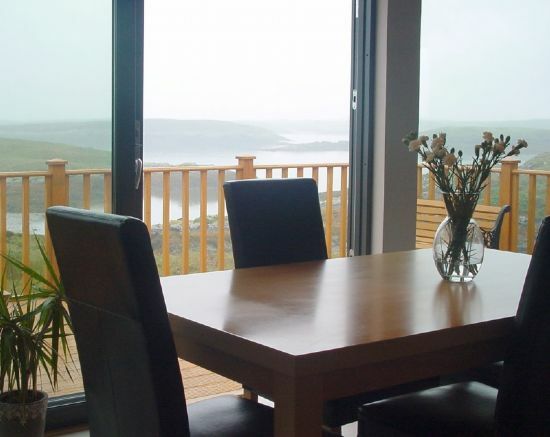 The Barn is a stylish self-catering house on the Isle of Grimsay in the Outer Hebrides. Grimsay is connected to the larger island of North Uist by a causeway. 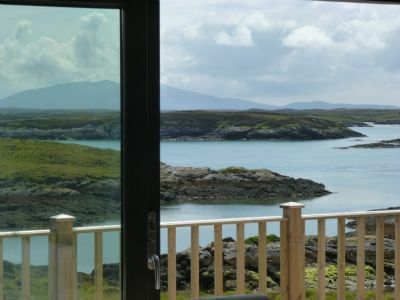 Built by the owners in 2010 and situated in one of the most stunning waterfront locations in Grimsay, The Barn is a purpose built luxury accommodation offering the ideal holiday getaway with all modern facilities. South facing with 6 metres of floor to ceiling windows opening out onto a large decking area. You can just relax and take in the stunning uninterrupted views across to Skye and the Inner Hebrides or spend hours bird and wildlife watching all in complete privacy. Regular sightings include: common seal, otters, basking shark, red deer, sea eagle, golden eagle, owl and hen harrier. Open plan dining-kitchen and lounge with access to decking and panoramic views. Downstairs single bedroom with private shower room. Upstairs double bedroom with private bathroom. The Barn is set on open natural croft land at the east of the island, with unfettered access to the shore, with sheltered sandy inlets, rocky headlands, abundant wildlife. 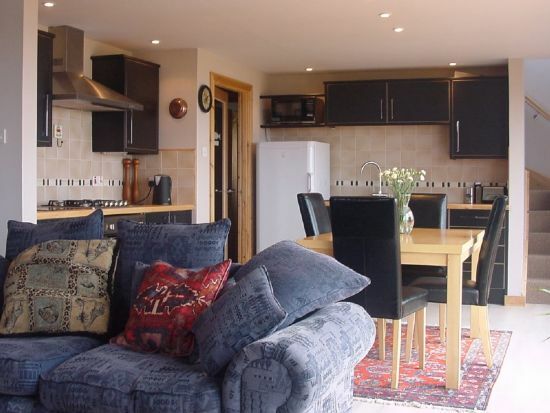 It offers privacy while enjoying wonderful views over the mountains and shores of Benbecula and South Uist as well as more distant islands across the deep waters of The Minch. To make a reservation, simply check availability and prices, then contact us.